IDEALLY SITUATED ON AN EXTRA WIDE 36' LOT, THIS ALL-BRICK BRAND NEW CONSTRUCTION BUILDING PRESENTED BY REGENCY DEVELOPMENT FEATURES SPACIOUS DUPLEX DOWN FLOOR PLAN W/SLEEK FLOOR-TO-CEILING WINDOWS FOR MAXIMUM SUNLIGHT. CUSTOM KITCHEN WITH PROFESSIONAL GRADE APPLIANCES, QUARTZ COUNTERTOPS AND PICTURESQUE WINDOW OVERLOOKING DECK. GREAT ROOM W/RICH HARDWOOD FLOORING & HIGH CEILINGS IS ANCHORED BY FLOOR-TO-CEILING TILED GAS FIREPLACE. LOWER LEVEL FEATURES THREE BEDROOMS, TWO FULL BATHS PLUS LAUNDRY. LUXURIOUS MASTER SUITE WITH WALK-IN CLOSET, STONE BATH WITH DOUBLE VANITIES, OVER-SIZED SHOWER & HEATED FLOORS. TREMENDOUS OUTDOOR SPACE W/ENTIRE GARAGE ROOF DECK PRIVATE TO THIS UNIT, COVERED DECK OFF LIVING ROOM, AND PATIO SPACE. GARAGE PARKING INCLUDED. 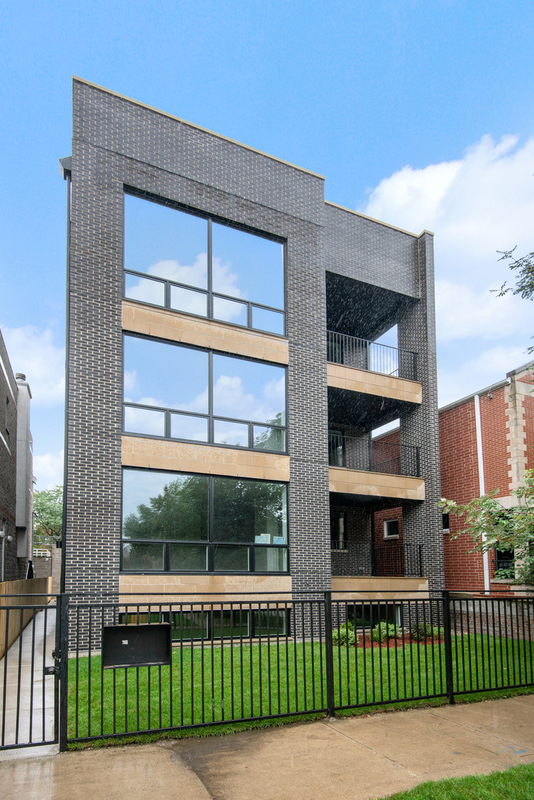 LOCATED ON A PRIME TREE-LINED LINCOLN PARK BLOCK STEPS TO WRIGHTWOOD PARK. 30 DAY DELIVERY. Property information last modified by seller on Sunday, March 31, 2019, 12:05 AM CDT. Information Deemed Reliable But Not Guaranteed. Unauthorized duplication, use, or linkage is prohibited. The information on this web site is for personal, non-commercial use and may not be used for any purpose other than to identify prospective properties consumers may be interested in purchasing. Monthly Payment Calculator results are for illustrative purposes only, not a financing opportunity; calculations assume a 30-year fixed-rate mortgage and do not include closing and other costs. Property Tax on NEW properties is estimated at 1.5% of Listing Price for payment calculation purposes; actual value may be higher or lower.